This post was sponsored by ZonePerfect®, but all opinions are our own. Two kinds of cinnamon plus cocoa equals the best cinnamon hot chocolate (or cinnamon hot cocoa) you’ve ever had. Rich, complex, and satisfying. My heart says it’s winter, but my thermometer says it’s 80 degrees. I’m choosing to ignore the thermometer. Sunset seems to begin somewhere around 2:30 in the afternoon, so it must be winter, right? These darker days are a little harder to get through than the days of high summer. I require a pick-me-up to get me through the rapidly dimming afternoon. For this purpose, double cinnamon hot cocoa works perfectly. Why double cinnamon, you ask? 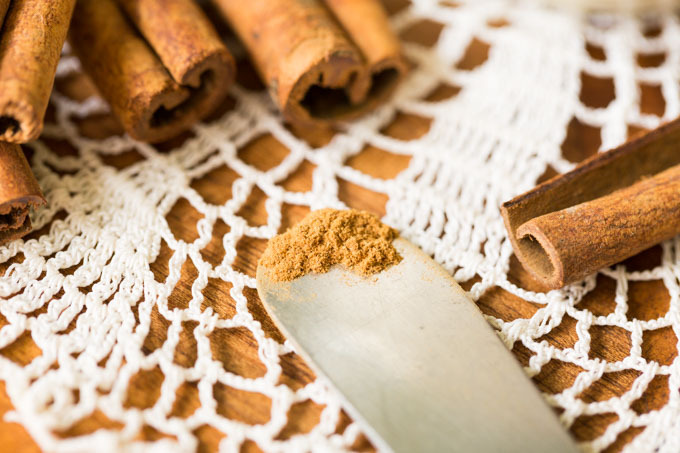 Because—surprise!—there are several types of cinnamon, and it’s really cool to combine them. First, there’s cassia cinnamon—strong, spicy (like a red hot candy), and from a thick, tough bark. This is the type of cinnamon you’ll find in most spice sections. Second, there’s Ceylon cinnamon—sweet, floral, and from a thin, delicate bark. If your cinnamon is not labeled “Ceylon” cinnamon, then it’s probably cassia cinnamon. 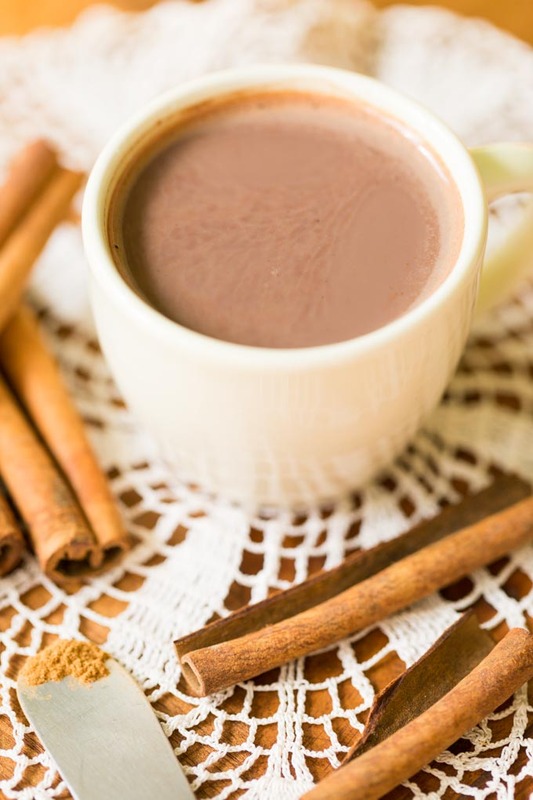 Combining the two types of cinnamon allows you to hit all the high notes and low notes, creating a complex flavor profile that you just can’t find in plain old hot chocolate! I like to pair my cup of double cinnamon hot cocoa with a ZonePerfect bar. ZonePerfect bars are great-tasting, nutritionally rich products that keep me “in the zone” throughout the day—whenever I need energy or a special treat. 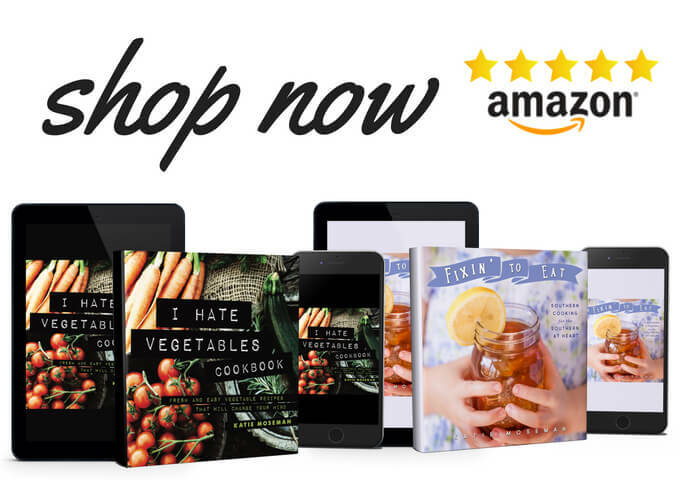 Click either of these images below to shop! 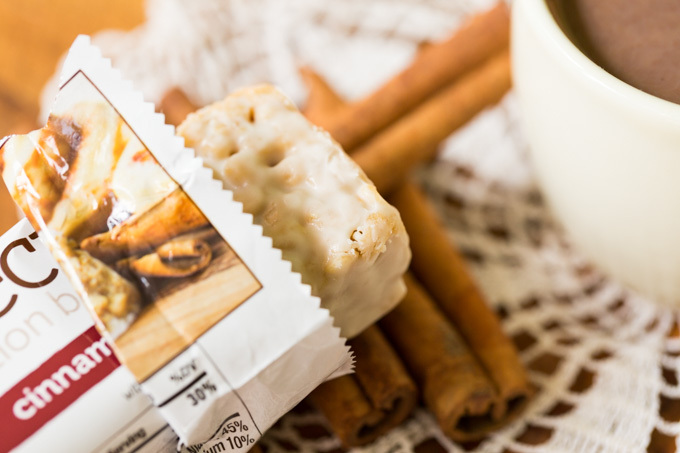 My favorite flavors for pairing with hot cocoa are the ZonePerfect Double Dark Chocolate bars and (of course) the ZonePerfect Cinnamon Roll bars. No matter which flavor you pick up, there’s a Great Taste Guaranteed. And with 10 to 15 grams of protein in each bar (depending on the flavor), I stay satisfied longer. Plus, there are up to 19 vitamins and minerals in each bar, and no artificial flavors or sweeteners. It’s a smart and nutritious choice. 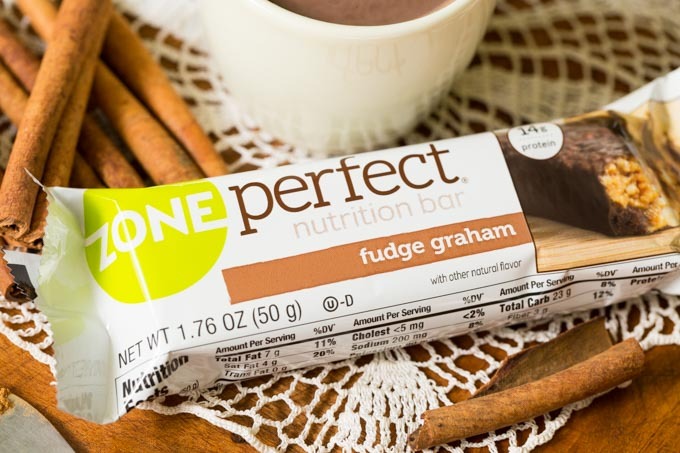 Visit ZonePerfect to see all the available flavors, and look for ZonePerfect nutrition bars in the nutrition bar section of your grocery store. Here’s to perking up with chocolate and cinnamon, all winter long. Cheers! 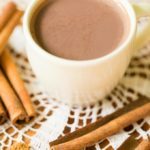 Two kinds of cinnamon plus cocoa equals the best cinnamon hot chocolate (or cinnamon hot cocoa) you've ever had. Rich, complex, and satisfying. Combine the sugar, cocoa powder, cinnamon, and water in a small saucepan. Heat over medium low heat, whisking briskly, until combined into a smooth and glossy liquid, about 2 minutes. Slowly whisk in the milk until fully incorporated and slightly steaming (don't boil!). Serves four. Ground cinnamon labeled just "cinnamon" is made from cassia cinnamon bark. This is the first cinnamon called for in the ingredients. The second type of cinnamon will be labeled "Ceylon" cinnamon, which has a different flavor from cassia cinnamon. Use the ZonePerfect store locator to find all the varieties available near you. So 3.5 oz is a serving? Hi Meg! Yes, about half a cup per person. Of course, if you want a full cup per person, this recipe would serve two. Also, you can click the number of servings in the recipe above, and then drag the slider to easily scale up the recipe to make more. Hope this helps!